The physical challenges of daily life are the stuff of Greek myth. Belgian performance artist Thibault Delferiere uses his body, paint and objects to confront the inevitability of repetition in a world premiere performance inspired by the futile punishment condemned to Sisyphus in the underworld. 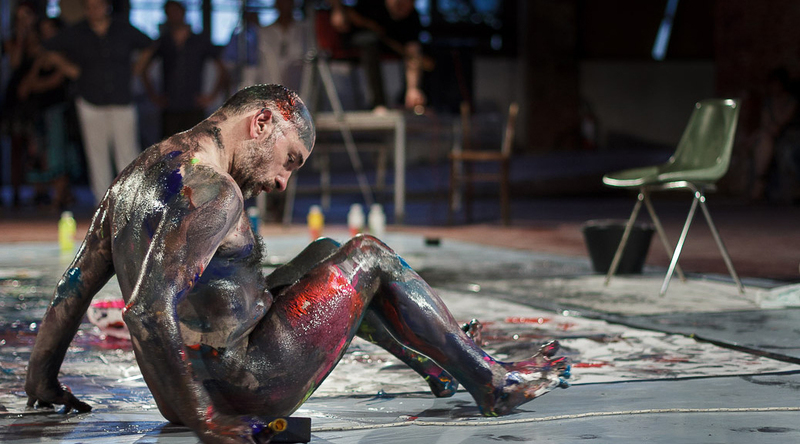 Controlled physicality and masterful command are hallmarks of this rare and captivating work in progress performance by one of Europe’s most distinctive disabled performance artists, with live music from Sicilian guitarist Giuseppe Lomeo. Over the past 20 years Thibault Delferiere has presented over sixty performances and collaborations worldwide. New Perspectives are delighted to welcome the Belgian performance artist Thibault to the UK for this rare opportunity to experience his unique working practice. Running time: Approximately 60 mins, including a Q&A about the making of the piece.